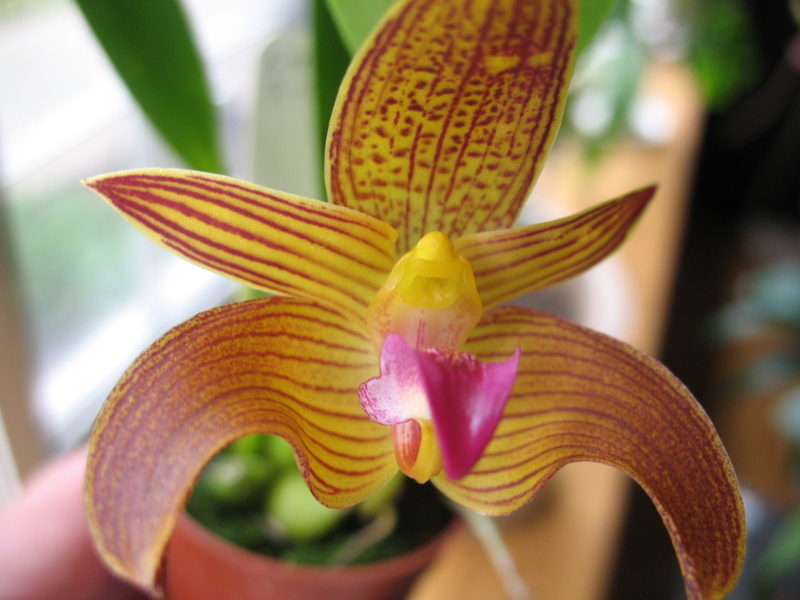 The Connecticut Orchid Society Library is open to all members. Please click here COS Library Holdings 2016 for the link to see a comprehensive list of library holdings. If you would like to borrow a book or have a question about a book or publication we may have, please email the librarian, Sharon Smith-Delisle, at librarian@ctorchids.org. A selection of books is available at most meetings for perusing and borrowing. Donations are always welcome! Bring your orchid related book or magazine to a meeting or contact the librarian. Below is a list of books recently added with a brief description. COS purchased this new book for our library. Our library has little or no new information about the culture of Draculas and this very current, informative book will be of great use to growers who want to try the challenge of Dracs. A very big thank you to former Membership Chairperson Larry Kuekes, who has just donated his entire collection of AOS ORCHIDS magazines to the library. This collection of magazines covers 1980 through the present —- three decades of valuable orchid culture information, photographs, awards and research. ORCHIDS magazine is the place to go for information about any known orchid on the planet. P.
COS member Jim Michlewski has generously donated the Orchid Species Culture Guide, by Richard C. Heeseler, Orchid Mania , Wantagh, NY to our library. This 46 page guide contains culture information for more than 22,000 orchids. The guide is set up in a simple columnar format listing the genus name, species name and a culture code for temperature, water, food and light requirements. There is also a section for comments such as whether the plant should be grown in a pot or a basket/slab. This section also indicates if the plant requires a rest period. I found the guide to be very helpful just because it is so easy and straight forward to quickly look up information. Ready to do a little daydreaming about spring? Here’s a great field guide to all the wild orchids currently known in the northeast. Wild Orchids of the Northeastern United States: A Field Guide, by Paul Martin Brown with drawings by Stan Folsom. I have used this guide myself to hunt for orchids in the northeast kingdom in St. Johnsbury, VT and found it very helpful. COS thanks Dave Tognalli for yet another generous donation to our library.